“For Gadamer, the importance of the image of a hermeneutic circle lies in its characterization of our ‘historicity.’ The texts we most fundamentally need to understand, in one way or another, are the narratives in which we find ourselves. The interpretations we project onto these texts are not our own autonomous creations, however, but are rather bequeathed to us as part of the narratives themselves. These already possess specific vocabularies, plots, and sets of issues and insofar as we are ‘thrown’ into the narratives, their languages and trajectories necessarily provide the contours for our understanding of them. The range of our possible understandings of the texts that constitute our historical lives is thus conditioned in advance by our implication what Gadamer refers to as effective history (Wirkungsgeschichte). 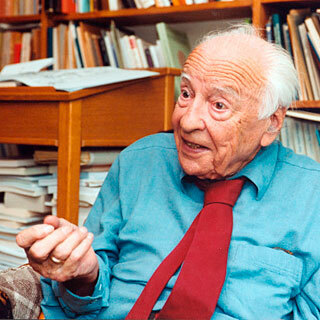 As historical beings, we find ourselves in historical and cultural traditions that hand down to us the projections or hypotheses, the prejudices, in Gadamer’s terminology, in which we approach them. The hermeneutic circle is a historical one in which our understanding is oriented by the effective history or history of influences of that which we are trying to understand. –Georgia Warnke, “Hermeneutics, Ethics, and Politics,” in The Cambridge Companion to Gadamer, pp. 80-81. Posted on June 24, 2013 by kylewayneluck. Bookmark the permalink.